Popped Quinoa: Like in my buckeye knock-off recipe, you can add popped grains into the mix. Adds a nice crunch! Almonds: Swap the peanuts and peanut butter for almonds and almonds butter. You could also do any other type of nut/nut butter. I really like to add in sunflower seeds and sunflower seed butter. Place all the ingredients, minus the salt. Pulse until everything comes together. Add a splash or two of water if needed. The crumbled mixture should easily come together. Take roughly 2 tablespoons of the mixture and roll into a ball. Continue and roll mixture into 12 balls and place in the refrigerator. 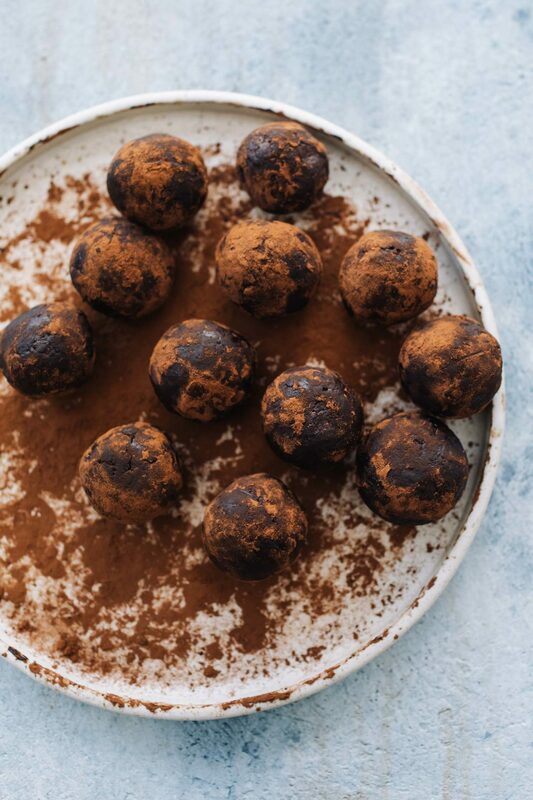 Place a couple tablespoons of cocoa powder on a plate and roll the balls in the cocoa powder. Tips & Tricks: Taste your mixture first before adding salt. I’ve found that peanut butter that has added salt will change the amount needed for extra salt. Link: Recipe lightly adapted from Sarah Waldman’s cookbook, Feeding a Family. My pantry wouldn’t be complete without these powerhouse seeds. 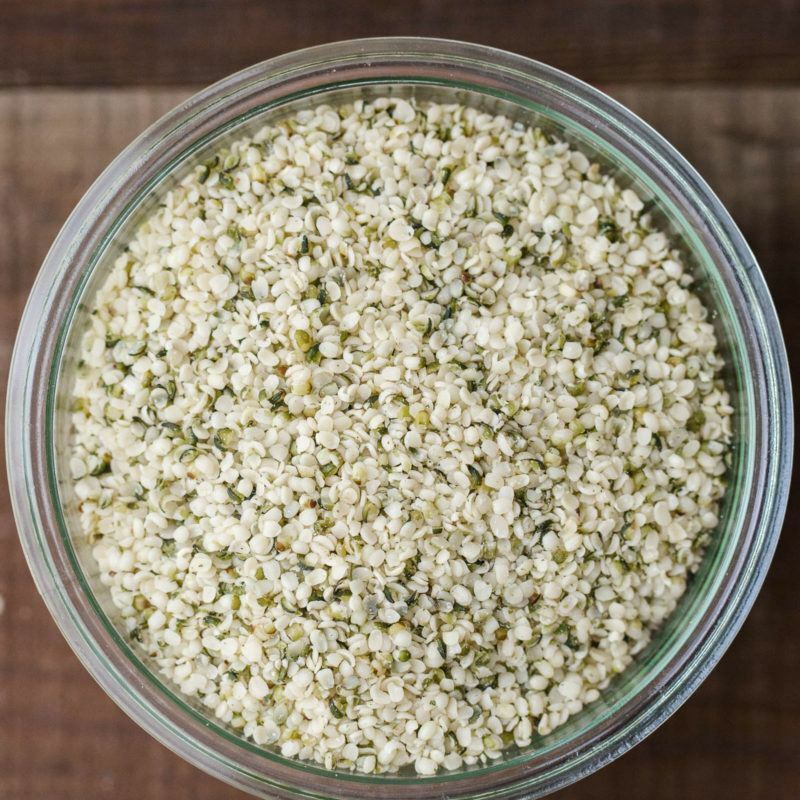 I love to use hemp seeds sprinkle of my breakfast porridges and waffles but even better, pureed with a water and the hemp seeds make for a lovely, nutrient-dense cream. I’m obsessed with energy bites! Love having them on hand in the freezer. 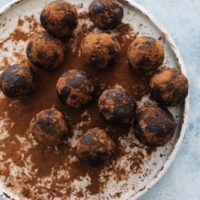 These remind me of a chocolate peanut butter no bake cookie! peanut butter and chocolate has a great taste combination. Cheers to this bites. I recently joined your list because I love how organized your site is and the wealth of information you share about how to use foods in cooking. I love that this snack looks so healthy; I’m trying to find better alternatives to puffy cereal for my son. Do you know if these are okay for a toddler in terms of chewing? He’s got teeth but still learning not to swallow things whole. Hi Sylvia! My son loves these. I do, however, usually pat them into a square and make bars. The key is to make sure the nuts are broken down well enough!